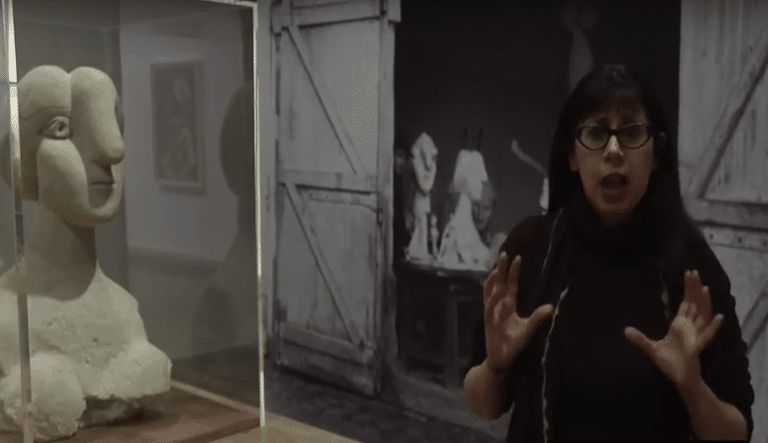 With its accompanying film, the exhibition is good at explaining just what metalpoint is and how it’s used. A metal stylus will only work on paper prepared with an abrasive coating, which is usually made of animal bone ground into a paste. The sheet may then have an additional coating of paint to provide it with a light tint, perhaps a pearlescent pink or a pale sea green. In all, it’s a time-consuming process, so this suggests one other reason why the technique gradually died out. But the results can be astonishing and gorgeously ethereal, and time and again one is stopped in one’s tracks by the gossamer handiwork on display. 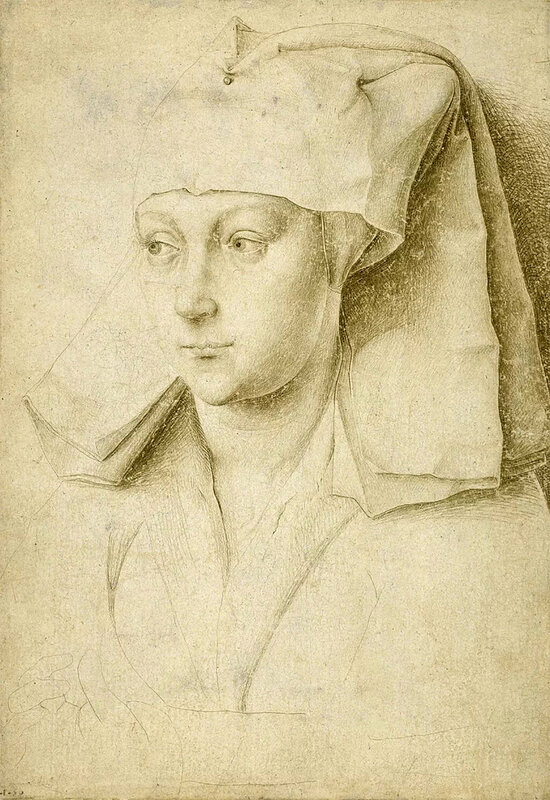 Among the handful of works that do just that is Portrait of a Young Woman, c.1435, the only drawing that’s ever been firmly attributed to Flemish artist Rogier van der Weyden. It’s a drawing so finely wrought, so lightly spun in soft silvery-greys, it appears at once solidly three-dimensional and barely there – an apparition whose presence nonetheless feels vivid. In contrast, the brute force of Leonardo’s soldier, Bust of a Warrior, c.1475, is conveyed by a very earthy presence: the jowly contours of a heavy-set, bulldog face in profile, and the extraordinary and elaborate detail of the soldier’s armour. 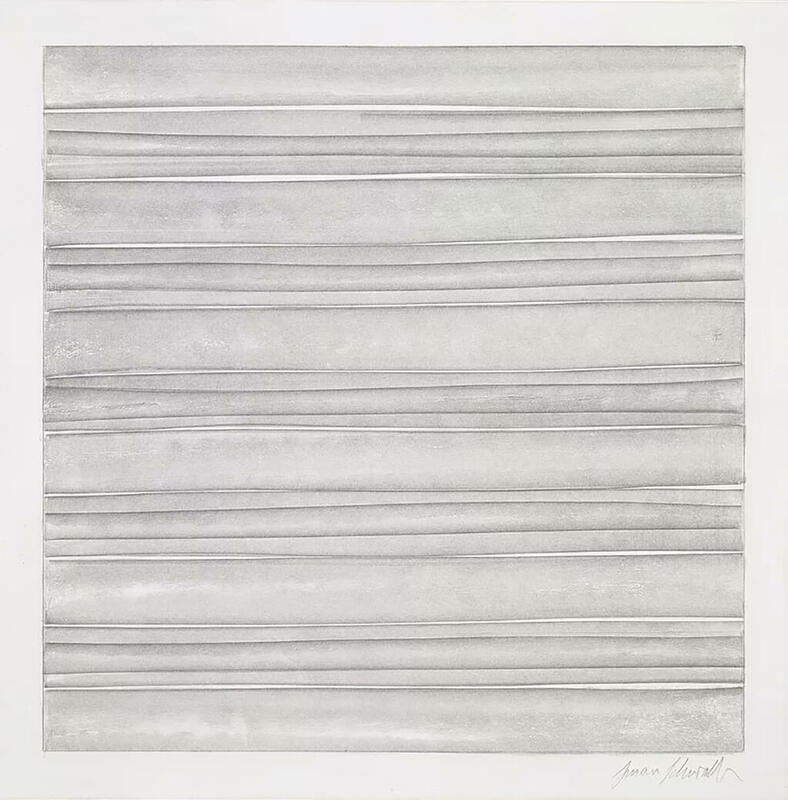 An exception is Susan Schwalb’s Strata 407, 2005, an abstract drawing of gently undulating horizontal bands, whose variegated silvery tones appear to suggest subtle colours. Bright slivers of untouched white paper enhance the metallic gradations. In an exhibition that dazzles with the exquisite draughtsmanship of the Renaissance, Schwalb’s small work at least makes an impression.